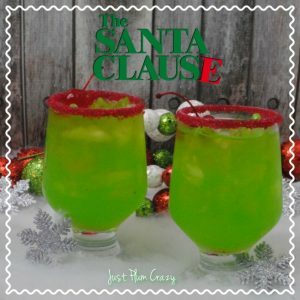 The Santa Clause Cocktail Recipe | Be Plum Crazy! 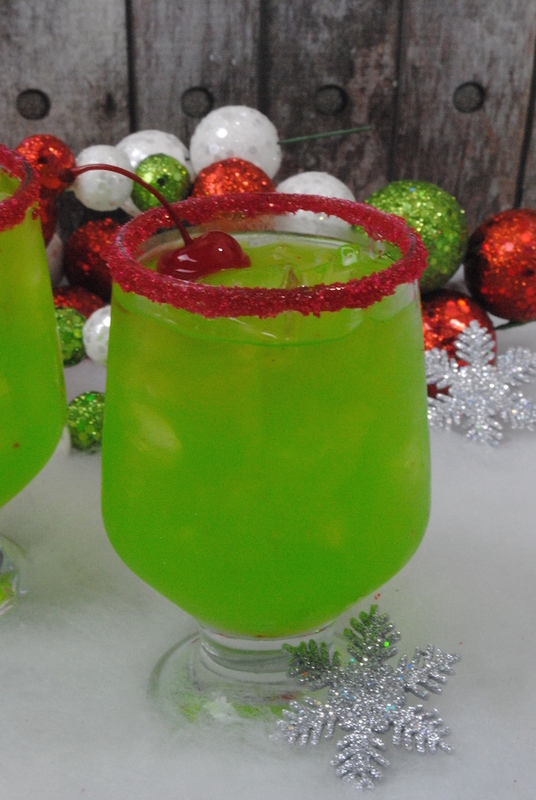 We cannot think of any more Christmas inspired than a beautiful cocktail with colors of green and red that tastes amazing. 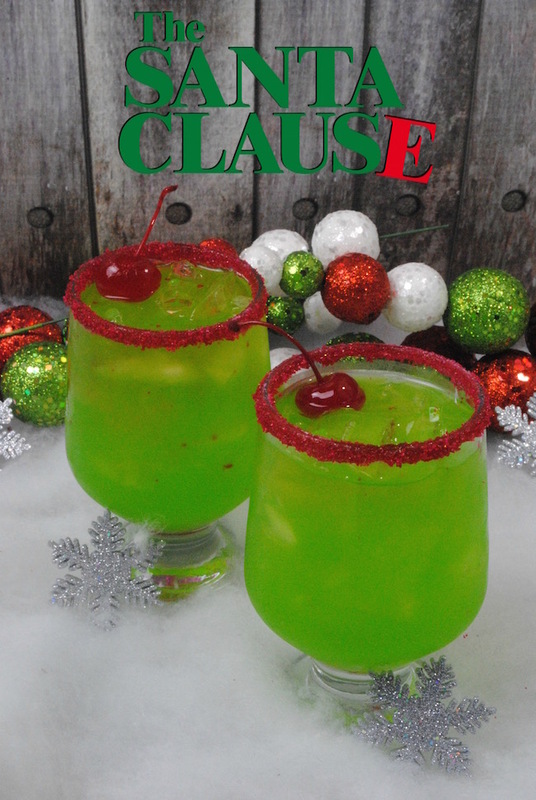 This Santa Clause inspired drink is sure to be a hit at your holiday party! The Santa Clause Cocktail Recipe! I love watching Christmas movies and look forward to watching them every season. The only problem is that when I sit down to watch them…nothing else gets done! My favorite are the romantic holiday movies but sometimes I’m in the mood for funny. That’s where The Santa Clause movie fits right in. 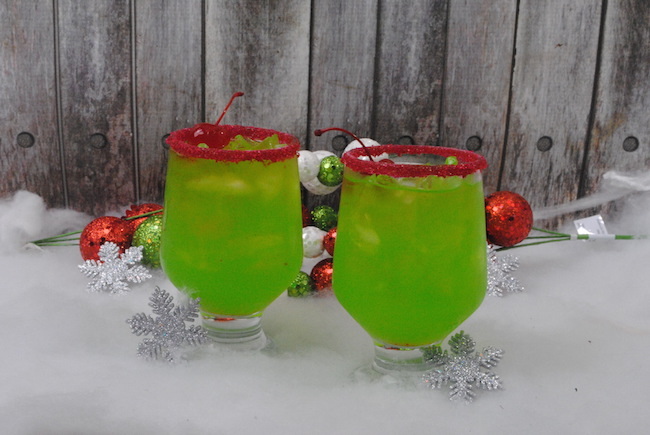 So, why not have a fun little Christmas adult beverage to go along with it. 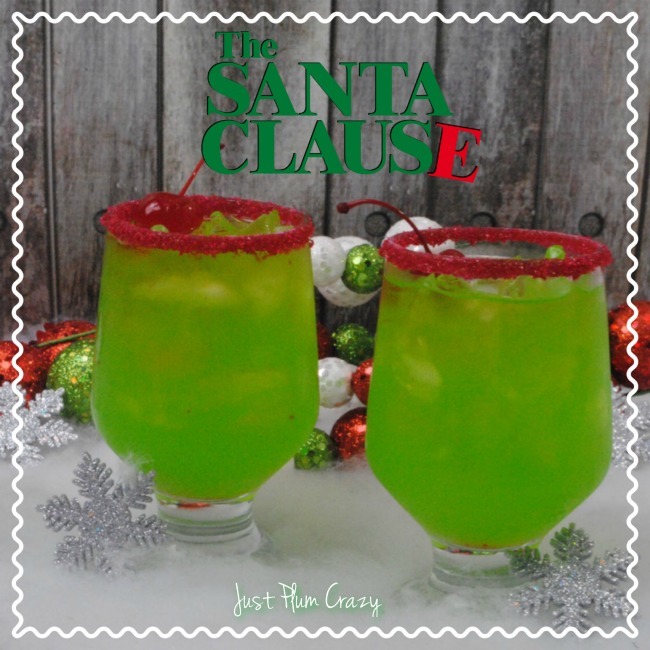 Sit down and watch the movie with The Santa Clause Cocktail recipe fits the bill. A little fruity with a big kick! 1 oz oz coconut rum. Add red sanding sugar to a plate. Then roll glasses in the red sanding sugar. Take all the ingredients in a bar shaker and shake to combine. Pour into your glasses and enjoy! Do you have a recipe for a crowd? Ok I made a glass to try it but I need to make a punch in a 2 gallon punch bowl… conversions please!!! It depends on the size of your glass but I usually Use about 3 oz. of Pineapple juice and top it off with sprite. How much Sprite and pineapple juice do you use? 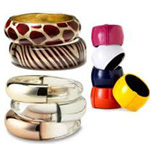 Hi, did u try this and how was it?